Do you have dry skin, eczema, just don't like the JUNK in store bought soap? 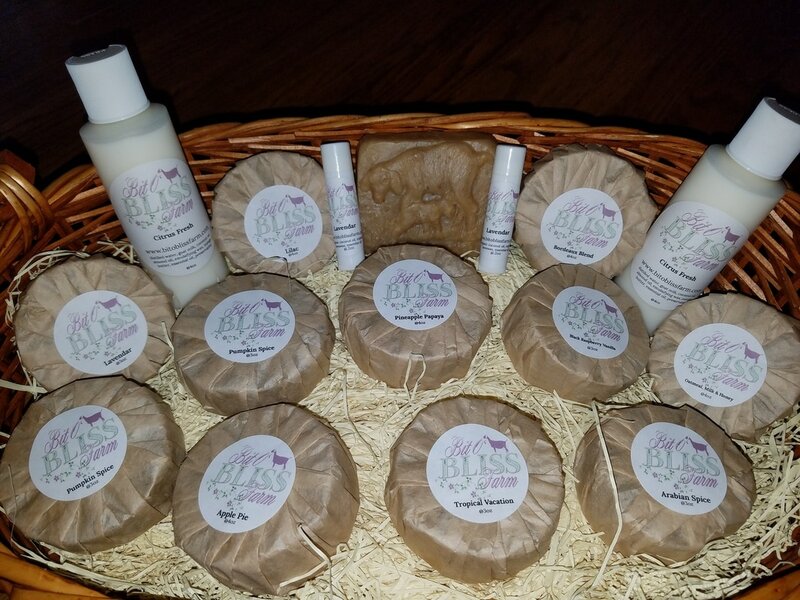 You will love our soap! Shipping options will be added at checkout for flat rate priority. If you would like other shipping options please contact me and I can figure cost. Sweet, juicy and tropical! A tantilizing blend of citrus top notes, and sweet fruits and sugared base notes. At first sniff, mandarin, pineapple and coconut palms open this bright fragrance. Mid notes of papaya guava and pomegranate are rounded out with a base of sugarcane, sandalwood and cypress. This fragrance will be a favorite for any fruit lover. Blended with utmost care, this is the perfect melding of three fabulous scents. Sweet and toasty, this is one soap that you'll want to take a bite out of! This fragrance is designed to be a big, bold spicy red wine fragrance. With notes of tawny port and cognac being sweetened up with lighter softer pinot noir, vanilla and raspberry, Bordeaux Blend is toughened up with spicy notes of cinnamon, clove and vineyard dirt. Working on getting these made up as well as a bunch more. A blend of myrrh and orange, with middle notes of ginger, cinnamon and cloves. It is then rounded out with Caraway seed and vanilla to give it a warm, tranquil feeling. A mix of mango, coconut and pineapple rolled into one sweet scent.